Boot Camp for Your Skin! Welcome to Pacific Advanced Skin Care in Shell Beach, the center for holistic and natural skin care treatments. through the use of pure and natural skin care products and methods, as well as energetic therapies like Reiki and Acupressure. It is her goal to help her guests realize the possibility of healthy, vibrant, glowing skin. Pamela is a licensed esthetician and cosmetologist having attended the Greenwood Academy of Hair and Skin in Washington State. She has over 17 years of experience in the skin care industry. Pamela’s journey in skin care has taken her to the Blackstone Wellness Center in Seattle, Washington, where she honed her Reiki skills; to Sager-French Salon in Beverly Hills, where she trained with celebrity hairdressers and nationally know brow arch artist, Damone; and to the Oasis Healing Center in Venice, California. Pamela is certified in Advanced Acupressure Massage, Electrocosmetics, Oncology Skin Care and Acneic Skin Care. Additionally, she has taken classes at UCLA Extension for Advanced knowledge in skin care ingredients and takes continuing education classes/seminars annually to further her expertise in this ever changing skin care world. Pamela’s passion for her trade and high standards will consistently bring you the most sophisticated products and treatments for your skin. I thrive on seeing clients love themselves and I am honored to help them see their true potential. In 2009 I had the opportunity to work with Dr. Todd Thoring & Pamela Thoring in their Naturopathic Medical and Skin Care Center. My experience at the center opened my eyes to the Naturopathic way of life. I saw firsthand how a healthy lifestyle coupled with a well thought skin care program could dramatically improve lives. I was hooked! So I set off on my path to become an esthetician. In 2014 I graduated from the Design School of Cosmetology in Paso Robles. While there I took up an affinity for camouflage makeup artistry. Helping people is part of my DNA and camouflage makeup helps clients regain confidence after traumatic injury. Since graduation I’ve continued to take a variety of classes on skin care treatments and best practices, further honing my technique and skills as an esthetician. Today, I’m proud to be back at Pacific Advanced Skin Care working under Pamela, providing sound and specialized treatments for our clients. alina's goal is to work with patients to spark the innate healing potential of the human body. I graduated from Los Angeles College of Chiropractic and the College of Acupuncture and Oriental Medicine at Southern California University of Health Sciences. I received a Doctorate degree in Chiropractic and a Master’s degree in Acupuncture and Oriental Medicine. Prior to this, I graduated with a Bachelor of Science degree in Biology from Mount Saint Mary’s University in Los Angeles. I was born in the Bay Area and raised in Hawaii. After completing my studies, I moved back to the island of Oahu and had the opportunity to practice at a thriving clinic. I am currently licensed as an acupuncturist in both California and Hawaii and a licensed chiropractor in California. My treatments are unique as I can perform both acupuncture and chiropractic therapy in one integrated session. I treat a wide variety of conditions, but specialize in pain management, women’s health, fertility, stress management, sports injuries, and preventative care. As each individual’s needs and symptoms may differ, my goal is to work together to spark the innate healing potential of the human body. I am passionate about helping patients of all ages restore or maintain balance using various methods. Treatments may include: acupuncture needling, electro-acupuncture stimulation, cupping, chiropractic adjustments, soft tissue therapy, herbal remedies and nutritional supplementation or counseling. I am also a certified Reiki practitioner. This allows me to further harmonize the mind, body, and spirit. Outside the office, I enjoy spending time with family, hiking, practicing yoga, weight training, and exploring my new surroundings on the beautiful Central Coast. PASC is committed to ongoing research and education for skin care in a clinical environment. In this setting, you will find a knowledgeable staff trained by owner, Pamela Thoring, LE and Dr. Todd Thoring, N.D., who oversees the practice. 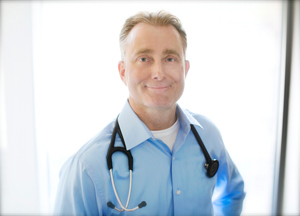 Dr. Thoring sees patients out of his nearby office at Pacific Natural Medical Centre. Pacific Advanced Skin Care in Shell Beach is the center for holistic and natural skin care treatments offering a wide variety of skin care services, sugar hair removal services and more. Shop the PASC skin care boutique for the best skin care product offerings on the Central Coast. Monthly skin care service and product promotions can be found here.